Cast your minds back to 2015 when we introduced you to Korean artist Delos and powerhouse Jin seok-won of JINTOY “Alice Black” art figure. A replica from an illustration of Delos and brought to life by JIN TOY, Already gaining a lot of fuss in the East back in 2015, TTC did what we do best and bring you some MORE art toy goodness over to the West that has caught our eye. 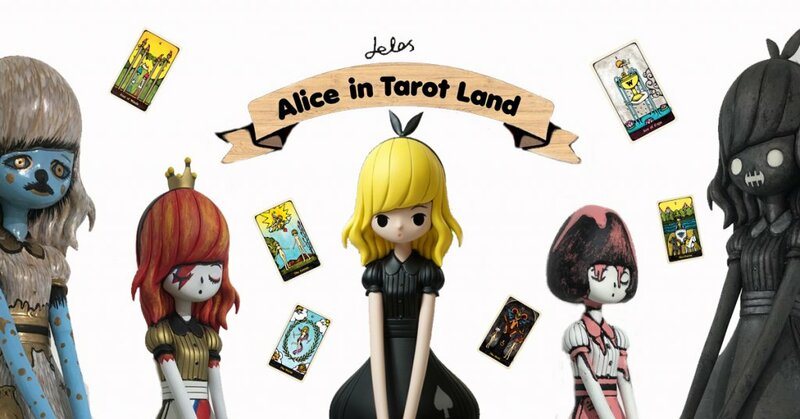 Fast forward to 2018 and Delos has opened his solo show at 호아드 HOARD which features his newly launched Tarot cards as well a number of art toys which feature Alice in many editions. Delos 22 major cards in deck. Email [email protected] for direct sales for art and Tarot cards. Do you guys agree Delos should bring back Alice in a full production run? Answers in the comment secation below.